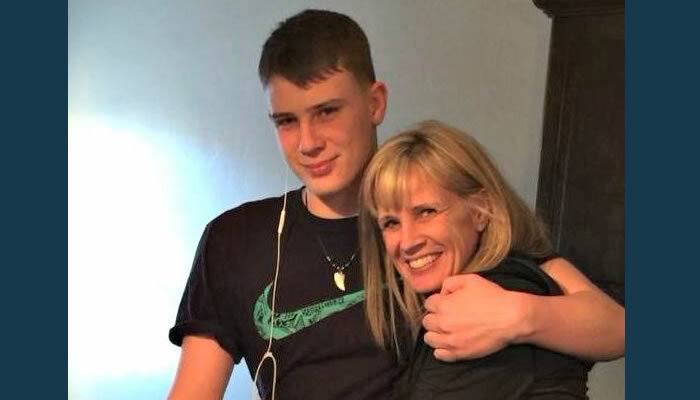 ST. GEORGE, Utah, Jan. 22, 2019 (Gephardt Daily) — Macin Smith’s mom, Tracey Bratt-Smith, doesn’t hesitate when she’s asked what she would say if she could sit on the new bench dedicated to her missing son and speak directly to him. “I’d ask him what it would take to have him come back home to me,” she tells Gephardt Daily. The words are a reminder to Macin’s family, friends and supporters, who gathered at the newly built Crimson Ridge Park on 3000 East to witness the unveiling of the bench, that though he vanished without a trace nearly three-and-a-half years ago, they will go on fighting to keep his memory alive. The bench also features an anime portrait of Smith — depicting him as the 17 year old he was on Sept. 1, 2015, when he walked away from his home early in the morning when his parents thought he was on his way to school. That date is also inscribed on the bench, as well as Macin’s date of birth. The bench has been placed just a block-and-a-half from where he went missing, and it overlooks the red rocks that he loved. Since Macin went missing, Bratt-Smith, who recently got divorced from his dad, Darrin Smith, has spoken to Gephardt Daily on numerous occasions, and she also spoke to us exclusively Monday. She said though she has recently moved away from the physical address from which Macin went missing, she will never leave him behind. A local businessman happened to watch an interview with Bratt-Smith and her brother Keith Bratt that Gephardt Daily did in September, just before the search, and reached out to her. She visited the metal manufacturing company, Creative Metal FX, in Hurricane, and brought the anime picture that a member of Macin’s Army had drawn a couple of years ago, which hangs in his room. Bratt-Smith said the first time she sat on the bench, she felt a sense of awe. She added that though there are currently no scheduled events or searches planned for this year, family and friends will do spot searches, so those areas can be crossed off a comprehensive map. Macin, the youngest of the Smith’s six children and the only one who was still living at home, left behind his cellphone, wallet, laptop and his school binder. He did leave a note, which his parents discovered a week later, folded inside his wallet. They have not released the contents, preferring to say the note contained an “intent,” which led them to believe he may have planned to harm himself. 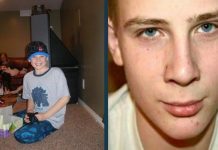 Macin has light-blue eyes, and he had short blond hair when he went missing. He is 6 feet 4 inches tall and weighed 200 pounds before his disappearance. There is a $10,000 reward in place for information leading to Macin’s location. The latest information about Macin is posted on a Facebook page dedicated to finding the young man, for more information click here. Anyone with information about Macin is asked to call the St. George Police Department at 435-627-4300.